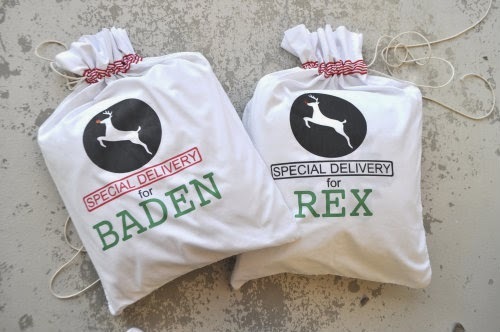 I thought it would be fun this year to have a special way to wrap the presents that are from Santa, so I made these "Santa sacks" to put under the tree for my boys. 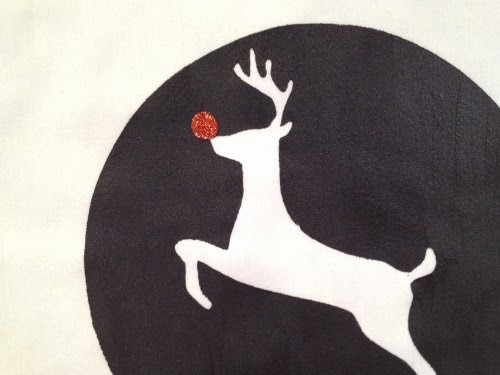 You can make these even if you don't sew. How? It's a pillowcase. Easy peasy. We have a lot of extra pillowcases lying around so I grabbed a couple to use. 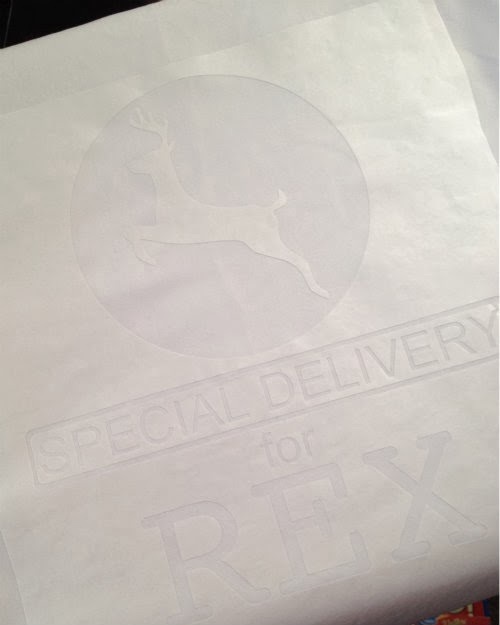 Next I designed and created a freezer paper stencil. 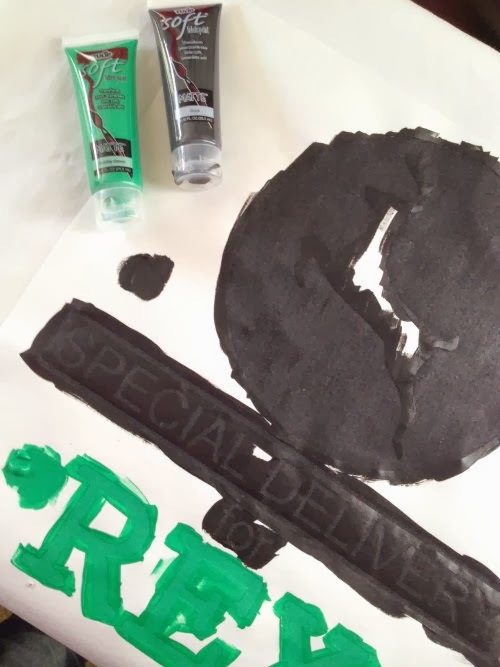 (If you are new to freezer paper stenciling, you can watch my how-to video HERE.) I used a cutting machine to cut my stencil, but if you don't have one you can use a craft knife. You could also freehand the letters instead or could also pick a simpler design. After ironing on my stencil I painted it all in. Be sure to put something inside the pillowcase so the paint doesn't leak through to the back side. Removing the freezer paper is always my favorite part. It's that big "ta-dah" moment! For the nose I cut a small circle from my Tulip glitter transfer sheets. To apply it you simply lay a cloth over the top of it and iron it on. If you don't sew, I would just tie the bag up with the ribbon. However, if you want to create a cinch sack you can sew the ribbon around the top of the bag. You need to leave it open on the side so you can lace your cording through it. Then attach a safety pin to your cord to help you pull it all the way around the bag. 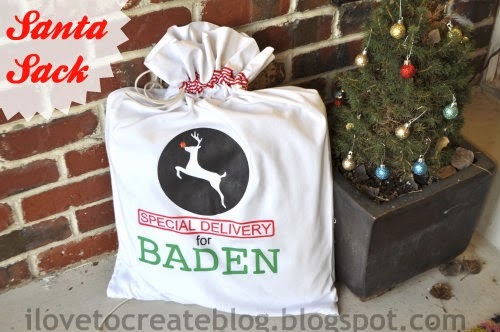 And your Santa sack is finished. I'm excited to reuse these each year. I love this idea! So cute. 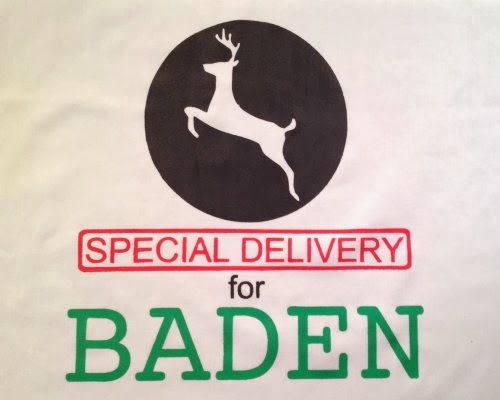 Are all the different parts of the design (the reindeer and the words) available to purchase somewhere? What fonts did you use? This would be cute on a bed with a pillow. Thanks for sharing. Wishing you and your a very Merry Christmas. Very cute! That is such a fun idea. I would love to do this!! 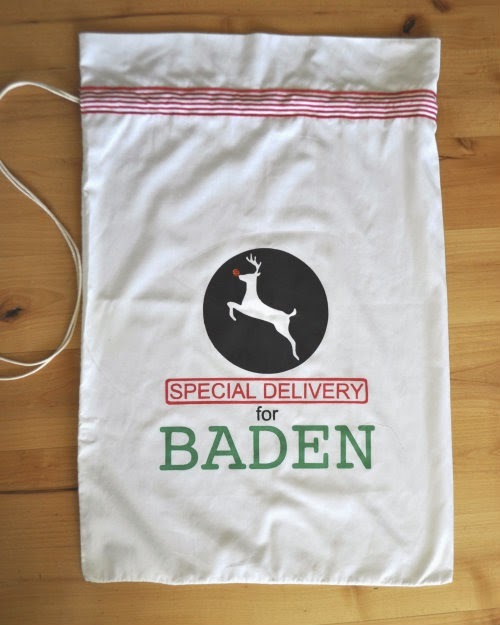 I noticed something, did the R in Braden's name get left out on his bag? عليها عن طريق عمالة مميزة على اعلى مستوى تقوم بعمل مجهود كبير لكى يتم القضاء على الحشرات بصورة نهائية دون الرجوع لها مرة اخرى.